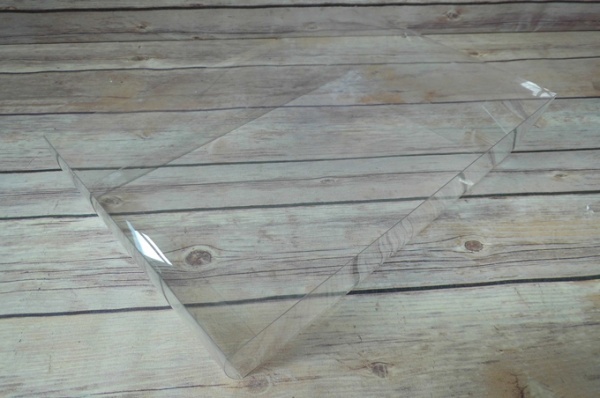 Pack of 10 crystal clear acetate boxes. These have been made to fit our small gift hamper trays (18-6264), and are tapered to conform perfectly. 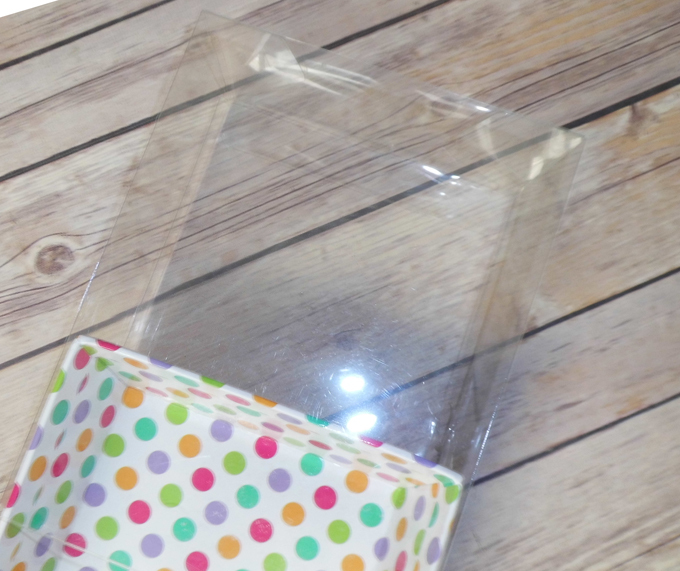 Alternatively they can be used as a fabulous stand-alone clear box. Each comes flat, with edges scored for easy folding, and full flaps and tab closures at each end to hold them secure. A film layer keeps it clean and this is easily peeled off when ready. Please note: these are tapered and therefore the base is smaller than the top of the box. Top 20cm x 15cm / Base 18cm x 13cm / Height 5cm.